Waking Up in Winter is the candid and revelatory account of how at midlife, Richardson found renewed contentment and purpose through a heroic inward journey. The unfolding story, told through intimate journal entries, follows Richardson from the first gentle nudges of change to a thoughtfully reimagined life - a soulful spring awakening. With an experienced coach's intuition and an artist's eye, Richardson reexamines everything - her marriage, her work, her friendships, and her priorities - gracefully shedding parts of the self that no longer serve along the way. 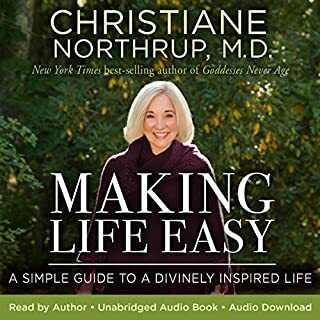 In the end she not only discovers what really matters at midlife; she invites readers to join her in the inquiry process by providing thought-provoking questions designed to usher them through their own seasons of transformation. 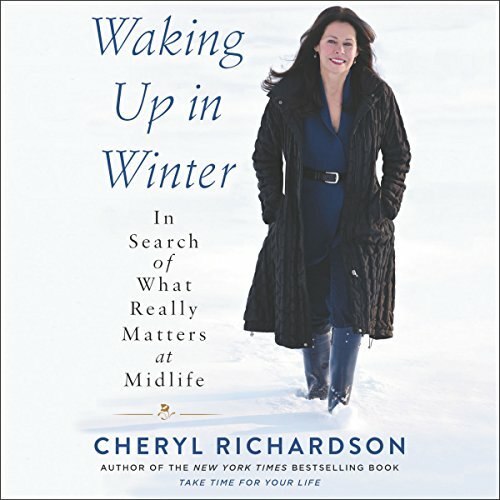 Offering up Richardson's most powerful teaching tool yet - her own life - Waking Up in Winter takes listeners on a brave spiritual adventure that shows us all how to live a more authentic and meaningful life. 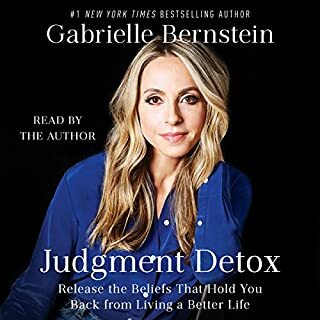 Special bonus material: Cheryl has included a special section in this audio program where she discusses the series of questions at the end of the book. These questions (and the discussion) are meant to encourage your own transformational journey. You can use them with a journal, in discussions with a friend or support partner, or with your book group. Great Story! which shows a main idea of observation about self!, and how not to miss living the present moment while looking forward for brighter future! the writer makes me live with her in her life,, as feeling what she felt, and how she dealt with it. Cliches galore and unhelpful personal detail. By chapter 3 I still had no take-aways or learned anything of substance. This book helped me in so many ways. Loosing a pet is hard and heart wrenching. I felt the author made me feel like someone else knew my pain..but it is a part of life. Great Book!! Thank you so much for sharing. Your voice is very soothing! Didn’t want the book to end! I enjoyed this book very much. I especially loved listening to it while driving backroads in my tiny part of New England. Cheryl’s voice and her story really flowed with the landscape and it helped me to feel more connected to her thoughts and ideas. However, the last hour or so has a terrible repeating glitch, where the first sound in a new sentence is cut off and it made listening almost unbearable. Michael becomes ichael for example- it really just took me right out of the story and the feeling. I listen on my iPhone with a Bluetooth speaker, and I heard this with just my phone only, through speakers in both my car and phone, and on my laptop. At first I felt like Cheryl wasn't really digging deep but as the journals went on the story she was telling about her life became deeper and clearer and more nuanced. 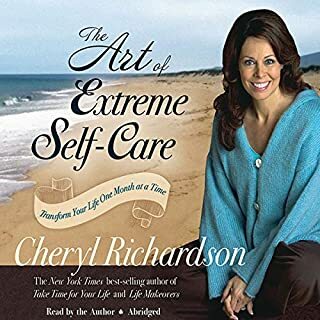 I came on age in the Hay House radio era of the 2000s when I thought people like Cheryl Richardson and Louise Hay and Wayne Dyer probably lead perfect internal lives. It's very important that as the self help gurus age they are acknowledging the limitations of that outward success in creating internal contentment. Even if you touch and change thousands of lives, you are still you, and you still need to find your own happiness. I think that's a hugely helpful to know. This book is excellent. In it, Cheryl reveals a lot about herself, her personal relationships, her marriage and her sessions with her therapist. Of all her books, I enjoyed this the most and could not stop listening until it (unfortunately) had to end. Definitely worth the credit. Waking up in Winter is unbridled and authentic reflection of midlife. Thank you Cheryl for putting to words many of the thoughts and feelings many wrestle with at mid life. Blessings! Loved every aspect of this book. For anyone wanting to be present in their life. I had a high hope for this one and ended up quite disappointed. The author narrates the book herself and her voice and the tone is very depressing and monotone. Not sure why they couldn’t choose someone who is at least more pleasant. I had to force myself to finish it because there was nothing interesting or new concept that intrigued me. I do appreciate her honesty and vulnerability in the book, however, right around the middle, she starts to talk about past regressions and her lives in another period of times as different persons. I am a Christian and do not believe in reincarnation, so, not only this freaked me out but also gave up on the rest of the story at that point. 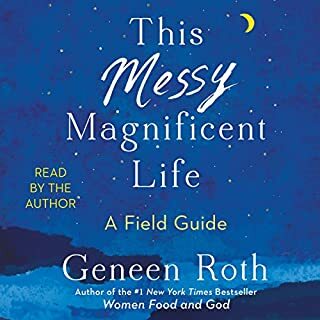 Overall, this was a very depressing book where the author kind of whines about various aspects of her busy life while learning to balance her work/soul satisfaction. 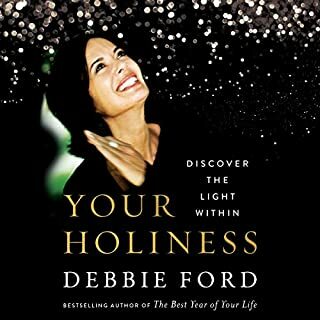 If you are in middle age soul searching quest, instead of this book, I recommend “Finding your own North Star”, which is quite enlightening. 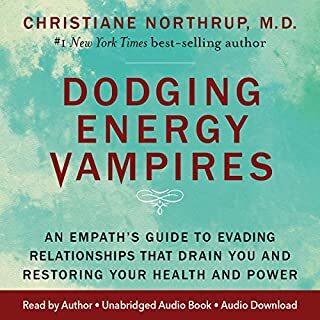 I listened to this book several times. Cheryl has excellent advice for those of us moving into a new season of life and reevaluating our goals, work, relationships, etc. I found this very helpful. I love Cheryl Richardson and have followed her work now for some time. She is a wise woman and shares her teachings freely, beautifully and authentically. I resonate with so much of this book, despite being 39... but I feel I've always been an old soul, connecting with older wiser women. A wonderful book, that no doubt will be something I return to every few years to remind myself ... what's important.